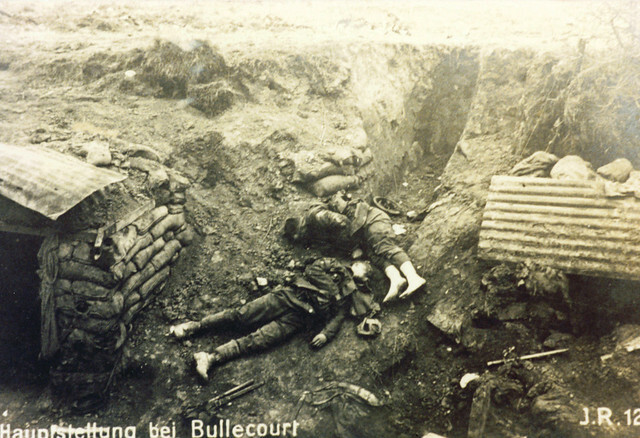 During the Great War the Germans produced a vast amount of images depicting the conflict; unlike in the British Army, German soldiers were not punished if they had cameras and every German division appears to have had a photography unit that took images which were put onto postcard as souvenirs for the soldiers. In addition, many German units published photo books while the war was still on and these give us a valuable insight into the battlefields as they were at this time. An example of this is Die Schlacht bei Arras which was published in Munich in 1918. 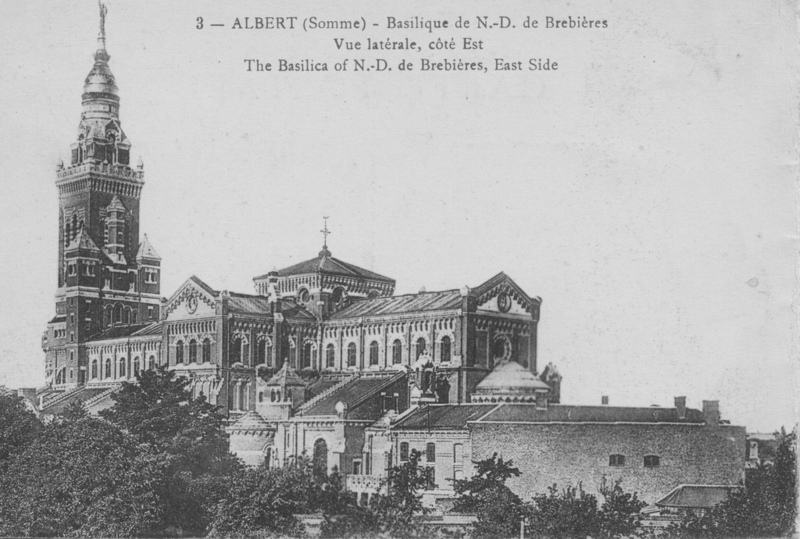 It contains 350 printed images of the German Army in the Arras sector. 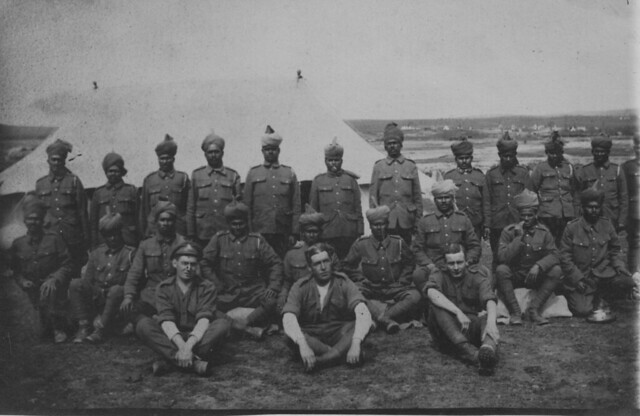 Some of the photos date from 1916 but many were taken during the 1917 operations. 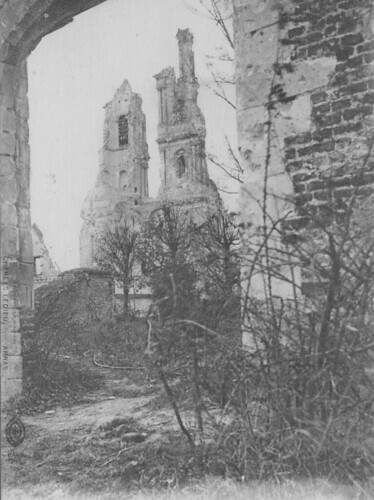 They show the villages in a varying state of destruction, trench life for the Germans, British prisoners, shot down aircraft and numerous other scenes. 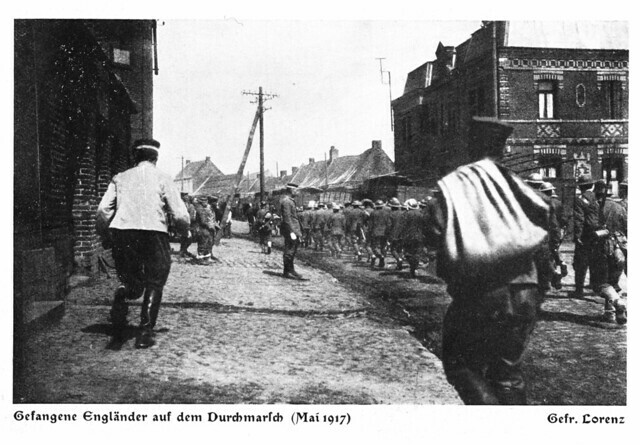 The above image shows British prisoners taken during the fighting in May 1917 being marched to the rear. 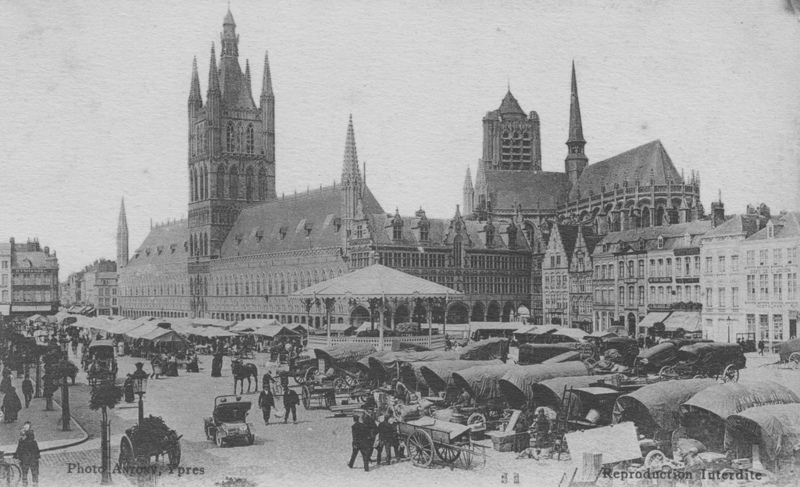 The worst day at Arras was 3rd May when there were huge casualties with many prisoners of war; it is likely these men were captured at this time. 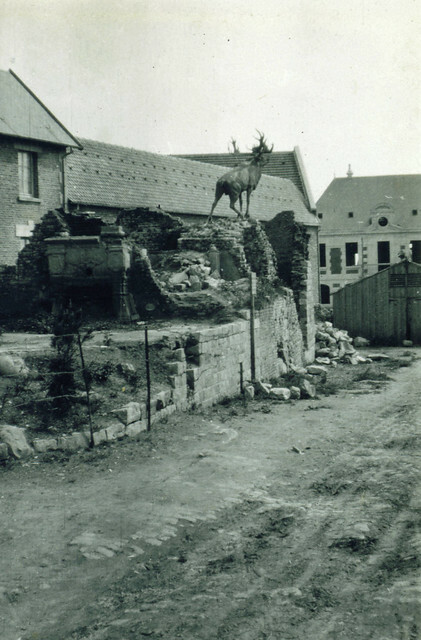 The image is taken at one of the villages in the rear area close to Douai, which was the main logistics and supply centre for the German Army at Arras. 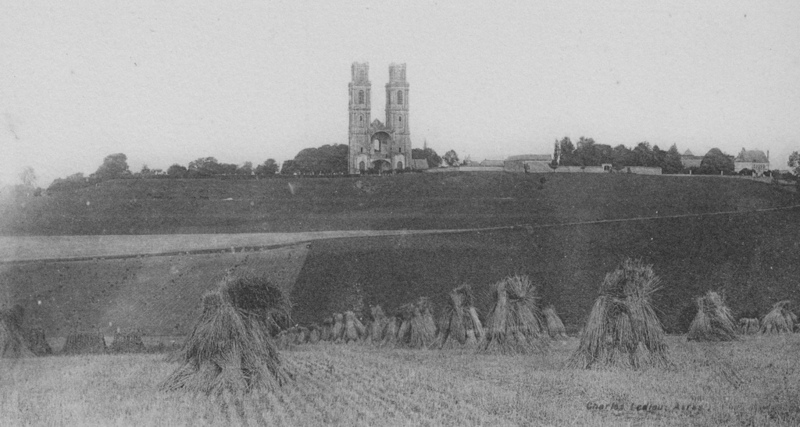 As part of the Oxford University WW1 Centenary project for Arras95 I have placed a selection of images on my Flickr pages which can be seen by following the following link: German Photos: Arras.